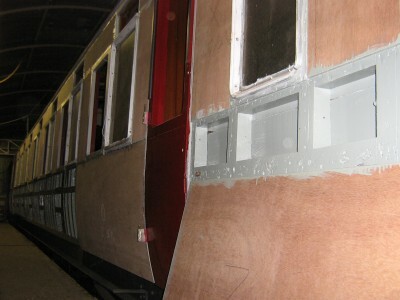 First of new side panels fitted, having been sealed with PVA, primed, undercoated and painted over the last week. all new eaves and upper body panels pinned in place, and the first of the new waist/lower panels- a tricky operation to gain the tumblehome. Will this be the next L M S carriage to carry Passenger.